Shell Group is a multinational corporation that deals with energy and petrochemical products. It operates in more than 90 countries and has more than 44,000 stations with over 100,000 employees (Shell Global, 2013). It is currently considered the second-largest private company in the energy sector globally. The headquarters of Shell are in Hague, the Netherlands and has its largest subsidiary in US. The company is owned by Royal Dutch Shell PLC, based in England and Wales. The upstream strategy of Shell is to concentrate more on extraction of oil and gas from unconventional reserves. As such, the company has heavily invested in exploration of new natural reserves. Shell has been quite successful in its strategy due to its use of advanced technological equipments. The company has managed to attain a share of 3 % in the global gas market and 2% in the oil market (Shell Global, 2013). Recently, concerns have been raised worldwide regarding the effects of oil production on the environment and human beings. In particular, there has been increased pressure from the public, governments and regulatory bodies on highly carbon intensive organizations in the energy sector to reduce their focus on crude oil and to focus more on biofuels that are not harmful to the environment. Most companies in the energy sector have responded positively by increasing their investments in renewable energy sources (Dominelli 2013). However, as Dominelli (2013) explains, Shell has not changed its strategy and has been focusing more on crude oil with minimal investment in renewable energy sources. This implies that Shell has to deal with numerous issues that emerge from the external environment. It is for this reason that Shell has been selected for analysis in this paper. The paper presents a PESTLE analysis of Shell and some limitations of PESTLE analysis and provides a brief evaluation of internal environment of Shell group. PESTLE analysis is a framework that describes factors of external environment that affect an organization. It is the analysis of six major macro-environmental factors, namely political, economic, social, technological, legal and environmental factors (Oxford University Press, 2010). In this section, the six factors are ranked in order of their importance to Shell Group. Due to the huge impact of the energy sector in development, environment and human health, governments have been highly scrutinizing activities of organizations in the energy sector. Thus, political factors have the greatest impact on the performance of Shell, followed by legal factors. Technological factors are ranked third since they have highly facilitated positive performance of the company. Technological factors are followed by economic, environmental and social factors, in order of importance. Political factors are government measures, interventions or influences that affect the economy or performance of an organization. Precisely, political factors include government influences in areas such as labour law, tax policy, trade restrictions, tariffs, environmental law and political stability (Oxford University Press, 2010). Recently, international and regional bodies have declared to impose charges inform of penalties and taxes on carbon emissions. Oil and gas companies have responded by devising survival strategies. They have been engaging in alliances and partnerships with governments in which they offer to provide incentives for economic development. In turn, they get support to carry on with their operations. This is the major strategy used by Shell to survive. For instance, incentives offered for economic development have led the government of the US to ease strictness on Shell and other giant oil companies (Sapp & Floros, 2013). Although the government of the US still raises concerns regarding the impact of Shell on the environment, it has continued to allow the company to find new reserves. However, pressure has been mounting on the need for oil companies such as shell to reduce reliance of crude fuels and to invest more on bio-fuels that have no harmful effects on the environment. Despite the political pressure, Shell has continued to rely strongly on crude fuels and has not shown intentions of shifting to bio fuels in the future (Sapp & Floros, 2013). Recently, Shell engaged in a Climate Action Partnership with the government of US. This was one of Shell’s attempts to foster a positive public image as a socially responsible organization. Despite engaging in the agreement, Shell has continued to use highly carbon intensive production methods. Although the government of US has been focusing on reducing greenhouse emissions, it has not been able to limit carbon emissions from Shell due to the strategic alliances existing between them. In underdeveloped nations, such as Ghana and Nigeria, Shell has been highly welcomed in order to support economic development through increased job opportunities and foreign direct investment (Sapp & Floros, 2013). Legal factors include health and safety law, employment law, consumer law, antitrust law and discrimination law (Oxford University Press 2010). Regulations on carbon emissions and environmental safety have increased for all companies dealing with oil and gas, including shell. With the growing concerns on the drastic climatic changes and global warming, there is increased pressure on governments and international regulatory bodies to come up with new regulations that will help to minimize harm on the environment (Keetie, 2010). Shell is among the top companies that are targeted by the regulations. There are also health and employment safety regulations that are enforced on oil and gas companies. The regulations are likely to limit potential for the companies. Technological factors include environmental and ecological aspects, such as advancement in technology, technology incentives, automation and research and development activities (Oxford University Press 2010). Shell and other companies that deal with oil have benefited greatly due to technological advancements in recent years. Technological advancement has led to innovation of more efficient machines for drilling and extracting oil and gas. Despite this, the new efficient machines are quite expensive. To be able to efficiently extract oil and gas from unconventional reserves, an organization needs to invest heavily in the advanced technological equipments. Shell has invested heavily in the advanced equipments and is one of the companies that have benefited most from extraction and manufacturing of oil (Sapp & Floros, 2013). Economic factors that affect an organization include product price and demand, exchange rates, interest rates, economic growth and inflation rate (Lawrence & Weber, 2011). Oil prices have increased globally due to increase in the cost of production. One of the reasons for the increase in the cost of production is increased taxation by governments. Secondly, the high cost of production has resulted due to increased investment in extensive, costly technology. At the same time, the demand for energy has been increasing and is expected to increase by around 57% by 2030 (Lube, 2012). This has emerged as one of the major challenges facing the energy sector globally as there are few natural reserves of crude oil left to meet the demand. Shell has responded to the increased demand by investing in new projects for exploration and extraction of oil and gas from natural reserves. However, this has also translated into higher prices for the products (Lube, 2012). Environmental factors usually comprise of weather or climatic factors that may influence decisions and operations of an organization (Oxford University Press 2010). Studies have shown that level of carbon emission emanating from processes of manufacturing crude fuels is much high. 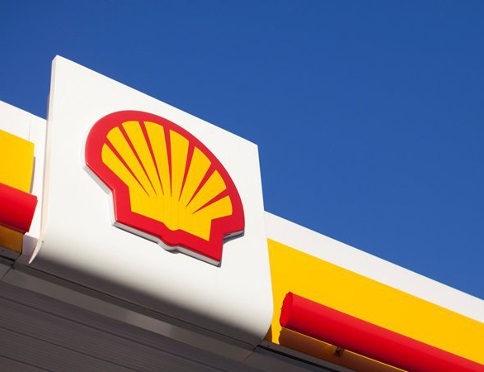 Shell has invested highly in manufacturing of fuel and in fact, it is currently rankled as the most carbon intensive company in the world (Keetie, 2010). Further, research carried out worldwide has shown that natural reserves of crude oil are declining at a rapid rate and may become scarce in the near future. Despite this, Shell has continued investing in exploring new reserves. The company has been doing so at the expense of environmental degradation (Keetie, 2010). Social factors that have effect on an organization include age distribution, population growth rate, health consciousness, emphasis on safety and career attributes (Lawrence & Weber, 2011). Today, consumers are increasingly becoming aware of the importance of responsible consumption and they have been putting obligations on oil companies to encourage responsible consumption. As well, there has been increased social pressure on companies to engage in responsible production. A few years ago, Shell responded by advertising itself as a responsible producer of oil products and stated that they were using wastes to cultivate flowers. The advertisement helped to develop a positive public image of the company (Lube, 2012). However, sometimes later, news reports showed that only one of the company’s plants in Netherlands was using wastes in growing flowers while the rest were releasing wastes in form of carbon dioxide into the atmosphere. As a result, Shell was widely accused of misleading consumers and destroying the environment. Activities of Shell have also raised security and health issues. Three years ago, for instance, three workers of Shell were reported to have died due to poor working conditions. In Nigeria, operations of the company have been consistently causing gas flares. Despite the fact that the issue has caught significant social attention, Shell has been reluctant to take remedial action (Lube, 2012). PESTLE analysis has several limitations. To start with, the external environment factors are dynamic and keep on changing. Sometimes changes in the external environment factors may take place several times within a week, making it difficult to predict or to determine how the changes are going to affect an organization presently and in the future. In some cases, the effects of some changes may not be noticeable or explicit in the initial stages. Such changes may end up having huge adverse effects on an organization in the future (Oxford University Press, 2010). For instance, a government may decide to increase tax charged on an organization’s product. A tax may have a huge impact on an organization’s financial performance. After a few days, the government may decide to extend a subsidy to the organization. A subsidy will have a positive effect to the organization. In short, changes in the external environment take place rapidly. The external environment is even more complex when an organization is operating in the global market. This implies that numerous details regarding the external environment are hardly covered by PESTLE analysis. A high degree of uncertainty emanating from the external environment may still remain undisclosed even after conducting a detailed PESTLE analysis. The rapid change in the external environment is the main deterrent of PESTLE Analysis (Oxford University Press, 2010). Another limitation of PESTLE limitation is its simple presentation. Usually, PESTLE analysis presents a simple description of factors of the external environment which have or can have effect on an organization or project (Henry, 2008). Unless a critical and in-depth evaluation of the external factors is carried out, the results of PESTLE analysis to not seem to be of great value. Another limitation relates to the data needed for effective analysis. Effective analysis of the external environment requires use of large volumes of data from right sources. However, problems emerge in collecting comprehensive and relevant data since in most cases, pertinent data may only be available from external agencies. This makes the analysis time consuming and costly. It is also difficult to get to get latest data. Lack of updated information to use in PESTLE analysis leads to making too many assumptions (Henry, 2008). In most cases, the information presented in PESTLE analysis is based on assumptions rather than on facts. As mentioned, proper PESTLE analysis uses enormous amount of data. As Henry (2008) explains, the use of enormous amount of data makes it difficult for the users to determine the factors that are more critical. Inability to effectively prioritize the factors affecting the organization may lead an organization to make wrong decisions. Lastly PESTLE analysis is not sufficient for use in organization’s strategic planning. This is due to the fact that it only focuses on the external environment and completely ignores the internal environment. Despite the limitations, PESTLE analysis can be of great use for an organization especially when used in conjunction with SWOT analysis and other relevant tools (Henry, 2008). Shell has invested heavily in advanced machines for drilling and extraction of oil and gas. It has also invested heavily in research and development. Further, Shell has been concentrating on unconventional reserve of oil and gas (R. D., 2011). This has given it numerous cost benefits. The company has been engaging in strategic alliances that have been beneficial. For instance, a joint venture with Cosan (S.A) Company has enabled Shell to save costs and to expand its operations in the ethanol market. Although Shell has concentrated more on crude oil, it has also invested in solar and wind energy. Shell’s brand is the most preferred at 20% compared to competitors in the global market (Royal Dutch Shell, 2011). Shell always focuses on recruiting skilled and talented workforce who can spearhead innovation. The company increases productivity of the workers by offering them opportunities for learning and development. It also offers them monetary and non-monetary incentives to motivate them (Shell, 2012). However, one weakness of shell is minimal investment in biofuels, which are rapidly growing in demand. Also, the company deals with numerous health and safety issues. The main point that has emerged from the PESTLE analysis is that in response to pressure by governments to reduce carbon emissions, Shell has evaded the responsibility and has been devising strategies to survive. The company has engaged in agreements with governments, which have allowed it to continue engaging in it’s highly carbon intensive operations. At the same time, Shell has been attempting to develop a positive public image by trying to show that it has been responsibly disposing wastes. This is a key point as it shows the response of Shell to the increased pressure to reduce carbon emissions. Another point that has emerged from the PESTLE analysis is that while Shell has been trying to neutralize the effects of political and legal factors, technological and economic factors have been favourable to the company. On the other hand, environmental and social factors have been unfavourable. The combined effect of the factors is important since it has an impact on the overall performance of the company. The analysis of the internal environment of shell indicates that the successful performance of the company has been highly supported by heavy investment in technological and human resource factors. In summary, Shell Group is one of the leading multinational companies in the energy sector. However, there has been increased pressure for organizations in the energy sector to reduce reliance on carbon intensive energy sources and to invest more on renewable sources of energy. However, Shell has not shown intentions to change its reliance on crude oil. Amidst increased regulations by governments, Shell has responded by devising ways of maintaining its carbon insensitive operations. Despite not responding to public call for social responsibility, Shell has been engaging in certain activities in an attempt to enhance its public image. The interventions by shell have tried to neutralize the impact of both political and legal factors of the external environment. Economic and technological factors have a favourable impact while environmental and social factors have an unfavourable impact on the company. The limitations of PESTLE analysis relate to the dynamic nature of the external environment, its simple presentation, use of enormous amount of data, reliance on assumptions and lack of coverage of internal factors. Lastly, the successful performance of shell has been supported by heavy investment in technology and human resources and strategic alliances. However, some of the weaknesses of shell are low level of investment in renewable energy sources and issues in health and safety of workers. Dominelli, L. (2013). Concerns over climatic change in a Globalizing World, Cambridge: Polity. Royal Dutch Shell, P. (2011). Strategy_2011_final_investor . Netherlands: Royal Dutch Shell.